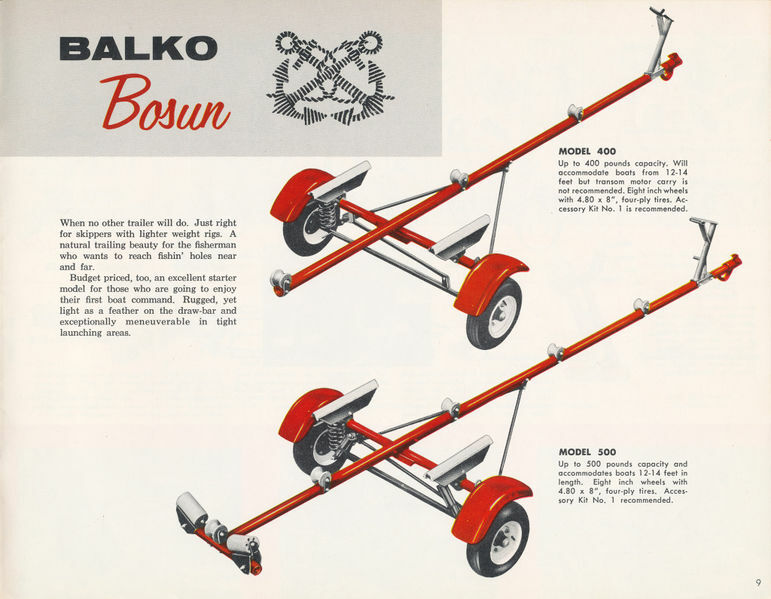 Anyone have any information on Balko trailers? Even a search doesn't turn up much. Thanks Andreas. I picked up a '59 Tomahawk Ski Mate that is sitting on the Balko trailer so I'm assuming it is the original package. Trailer is cool, simple, round tongue single axle. Defiantly a keeper for the boat. The trailer is model 500 according to your link and pictures. Wondering if it will handle the Tomahawk and a '78 Evinrude 70hp.